HONG KONG – Thousands of Hongkongers got themselves into a tizzy over the weekend when a clip appearing to show snowfall in Fanling went viral. 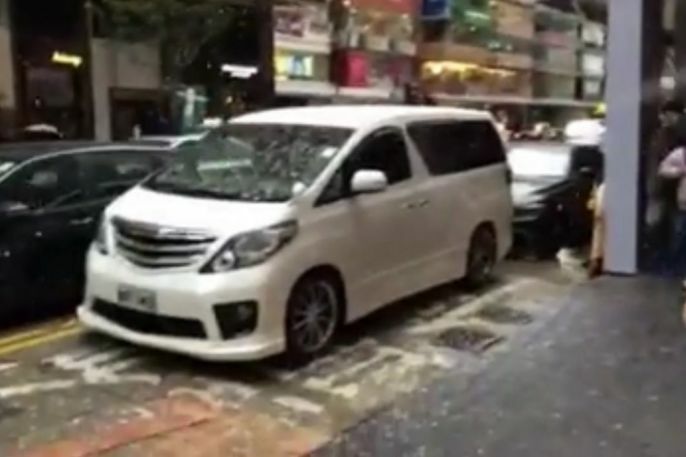 The clip, which appears to have been filmed on Paterson Street in Causeway Bay on Sunday afternoon, shows small, snow-like specks falling from above. The comment section attracted the same mix of awe and cynicism as the Fanling video did previously, with some decrying the Hong Kong Observatory for shooting down hopes of snowfall, while others more cautiously ventured that the specks were in fact ice pellets. One commenter, who claims to have been in the area, said the flakes were merely tiny blobs of foam from a manmade snow gun. Our favourite commenter of the lot was one Hongkonger who theorised that the whole video was in fact an advertising ploy by HMV (whose entrance is visible in the video). While frost and ice pellets were seen on some of Hong Kong’s higher peaks, it seems unlikely that they would occur in warmer urban areas like Causeway Bay.